It’s mid-February in Florida. Next week our temperatures are expected to soar into the 90s. Yes, Florida skipped spring and rushed headlong from winter into the heat and humidity of summer. Air conditioners are running full blast and full time once again. Recently during one of my training runs, I was exerting myself a lot more than usual, my heart rate was elevated, and my breathing became labored while doing a run that previously was very easy for me. I was running at my usual time, mid-morning, however, it was a hot, sunny and humid day. If you have had a similar experience outdoors as mine in the heat, here’s some great information for you. Exactly how dangerous is it really to run unprepared (unacclimated) in the heat and humidity? First off, you may experience heat cramps, muscle spasms caused by fluid and electrolyte losses. Thankfully, this condition is readily corrected by proper hydration (think water, sports drinks, salt) and decreasing your running effort level. Or, dehydration, a depletion of your bodily fluids. It is always best to start your run hydrated, and rehydrate frequently during your run. Plan your run around water sources if you don’t carry your own. Heat exhaustion, caused by dehydration appears with the symptoms of nausea, headache, and chills. Your body temp can rise up to 102*F. You may experience profuse sweating. If this is happening, STOP your run immediately, and find shade, go to where the temp is cooler. Start drinking fluids to replenish those you lost during your run by sweat and evaporation. Contact medical help if necessary. Heat stroke can be a serious life threatening emergency. It manifests similarly to heat exhaustion, and quickly progresses to disorientation, possible loss of consciousness, seizures, and hyperthermia, with a body temp upwards of 105*F. You probably won’t be sweating. Your core body temperature needs to immediately be lowered. First responders should be called at once and while waiting for them, remove constrictive clothing. To aid in bringing down the body’s temp, place ice bags in armpits, at the groin, and around the neck. To sum it up, when running in the heat and humidity, if you feel dizzy, lightheaded, confused or disoriented, you have stopped sweating (when you know you should be), have goosebumps in that hot weather, or feel clammy, STOP, get out of the sun, find liquids to drink, and seek medical attention! 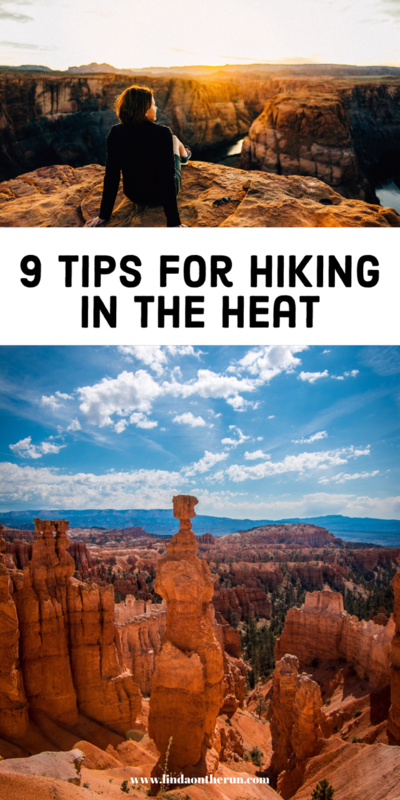 #1) Acclimate to the heat and humidity. 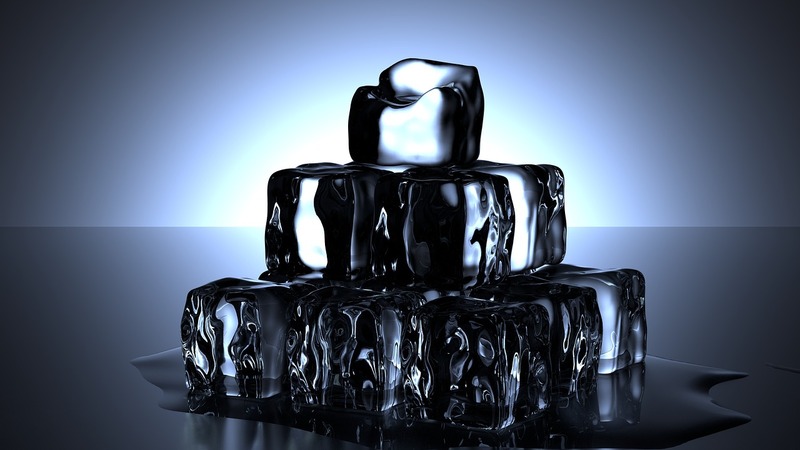 It takes your body two weeks to acclimate to the heat and adjust to cooling itself efficiently. Your heart beats faster in the heat as it is pumping extra blood out to your skin as part of the body’s evaporation/cooling mechanism. The blood flowing near the surface results in cooling by both conduction and convection. The heat makes your body temp rise and your body reacts with increased sweat production as your blood vessels dilate. Perspiration and evaporation of perspiration are the primary means for your body to cool itself during running. Your sweat glands become more active as your body’s core temperature rises. You won’t run as fast, don’t try to. Run by effort level rather than your typical pace until you acclimate. If you are new to running, add some power walk breaks every few minutes to help your body cool itself. #2) Change when you run. The warmer the weather, the more challenging it becomes to sufficiently cool your body. Your heart rate will increase and your breathing will become more rapid and labored. In other words, your body is working overtime to regulate your temperature. Run in the morning before sunrise which offers the coolest temperatures of the day, and the best air quality. Another option is running at the end of the day when the sun is setting. 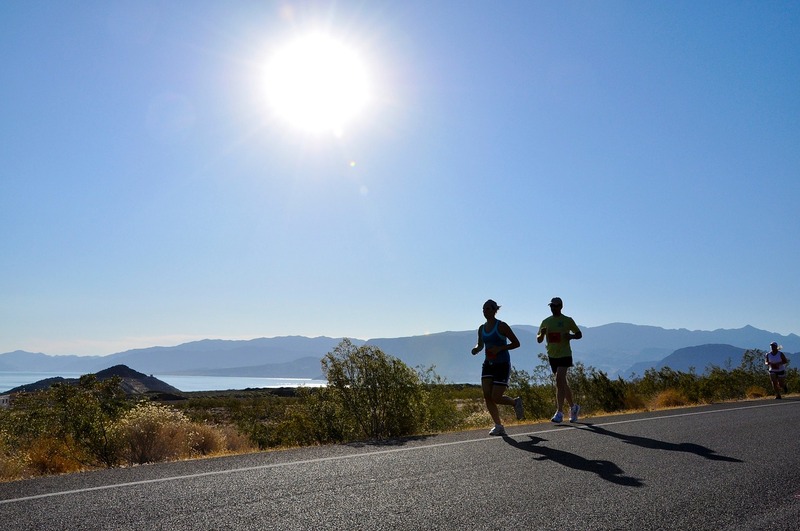 Avoid running during the hottest part of the day, between the hours of noon – 3 PM when the sun is highest in the sky. #3) Change where you run. Asphalt and concrete retain and generate a lot of heat, so minimize exposure to them. 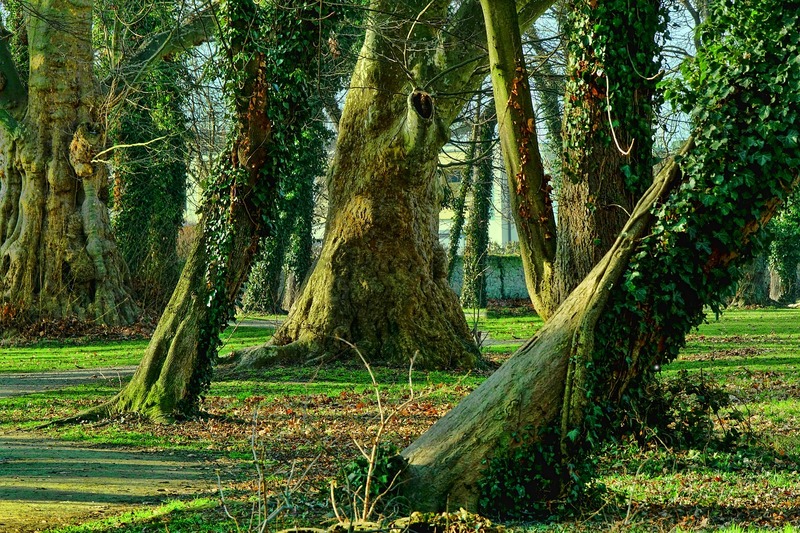 Plan your runs off roads and on local trails and seek out shady routes for sun relief. 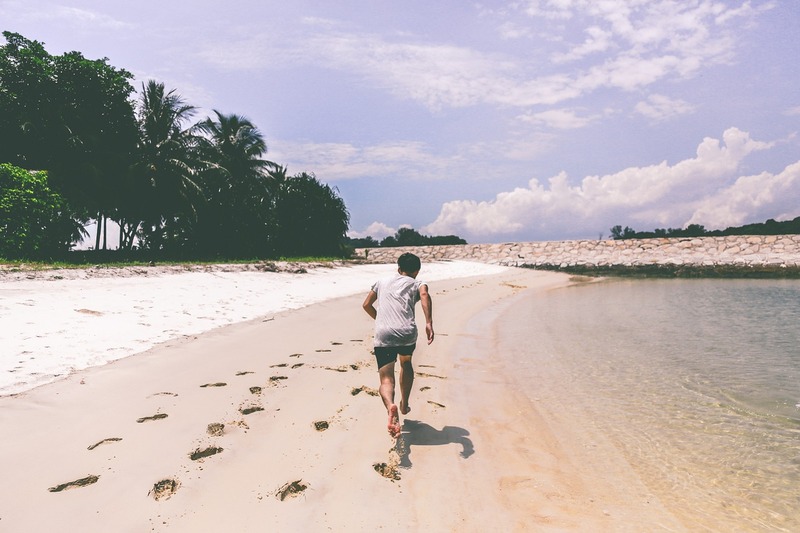 If you can, run next to streams and lakes or even at the beach because these locations provide a cooler running environment. Plus, jumping into the water after your hot run will feel awesomely refreshing! #4) Hydrate. Then stay hydrated.The best defense against most heat injuries while running is a good offense, and that means hydration. 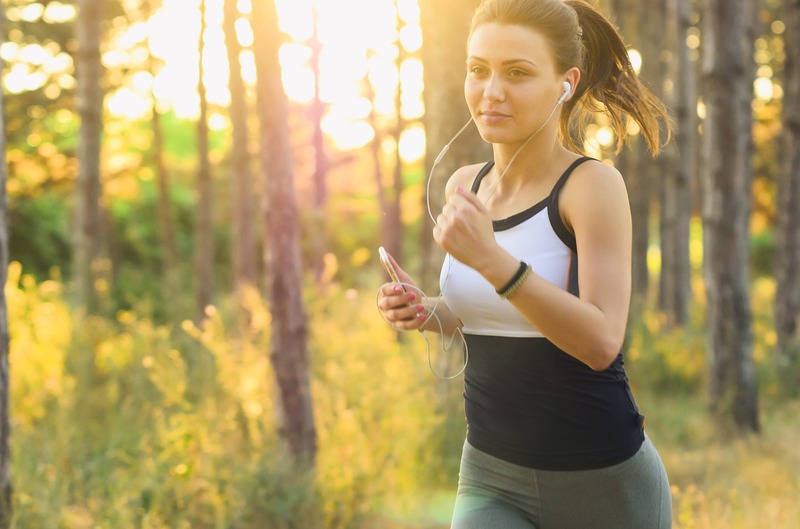 Your body works best when your temperature is 98.6*F. So to help your body keep cool while you are exercising in the heat, it starts to sweat allowing the heat to evaporate. Sweat causes water loss from your blood that can lead to dehydration. Normally you should aim for 6 to 8 glasses of water every day. Drink before you run, and every 20 minutes during your run. Have a hydration plan before you start your run. Know where the water stops will be. Plot your running route to areas that have water fountains. This can include schools, health clubs, convenience stores, and city parks. Alternatively, prerun you can stash bottles of water at specific points along your route. And finally you can wear a fuel belt to carry your hydration, or simply carry a bottle of water with you. For runs up to one hour hydrating with only water is ok. For runs lasting over an hour, sports drinks will help your performance and recovery and maintain your electrolyte levels. #5) Dress in synthetic, light colored, loosely fitting clothes. Synthetic fabrics will reflect the rays from the sun, and wick your sweat away, drying quickly. Loosely fitting clothes will promote air flow. Moving air helps to evaporate sweat and maintain body temperature. Your skin is your body’s largest organ. Keep it covered to prevent excessive absorption of the sun’s heat and prevent sunburn. Sunburn is uncomfortable and inhibits your body’s ability to properly sweat and cool itself. Apply sunscreen liberally to skin exposed to the sun. Don’t forget the back of your neck and your ears. Wear a hat to protect your scalp and sunglasses with UVA/UVB protection. #6) Run by effort. Not pace. Run by “feel” when it is hot. Concentrate on your breathing and how you feel. In hot humid weather, easy runs should feel easy. 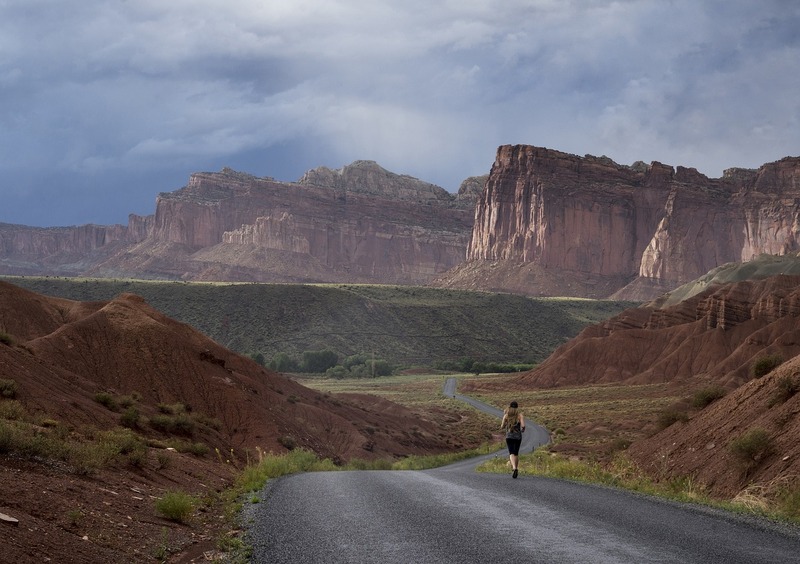 Your pace will decrease substantially, and your body will acclimate to the weather. A heart rate monitor is a useful tool to assist you in gauging easy efforts or strenuous workouts. #7) Precooling is another idea. Eating a frozen popsicle or a slushy before a training run will help cool your internal body temperature and delay its rise for as long as possible. Dumping cold water on your head is an effective cooling method since it increases evaporation from your skin. Frozen wet towels would feel heavenly after a hot run. #8) It is mind over matter. Running with heat and humidity demands the proper mental approach. You must adjust your expectations right from the beginning. 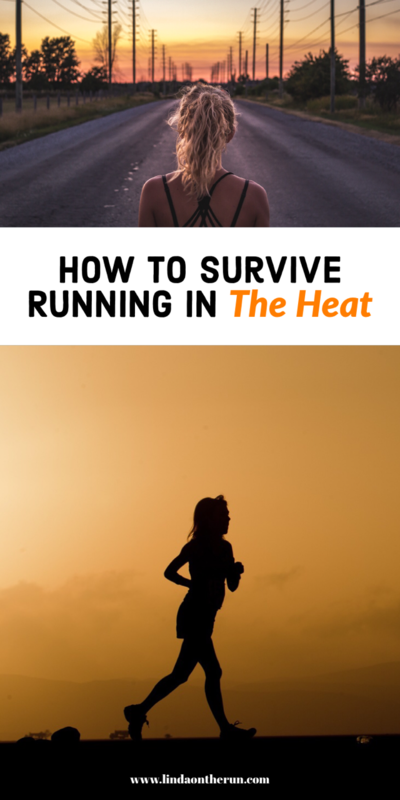 You must come to terms with the realization that you will not run at the same pace or the same distance in the heat as you do in milder weather. And your body takes longer to recover when it is hot. 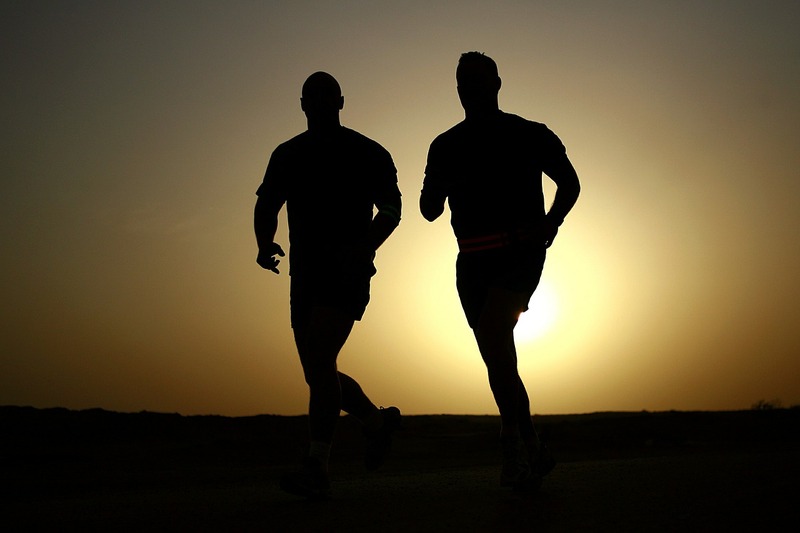 If you run or exercise out in the heat, what do you do to combat overheating? Please share in the comments section below. Great info, thanks. I will add these tips and info into my routine. It’s easy to forget at the beginning of our running season when the weather changes quickly. Your tip of utilizing water stations more helped me today. After each mile I poured water on my head, shoulders, drank a cup or 2, then went on. It helped me tremendously in cooling off. Thank you Christine for letting me know about your success in keeping cooler while running in our crazy Florida heat using a tip from the post. Our races this weekend will be a challenge for both of us. Appreciate your comment.